People who'd like to learn functional programming because they want to be ready if such languages become part of the mainstream. People who'll be working in an object-oriented language but want to use some functional programming idioms and tricks of the trade in their projects. 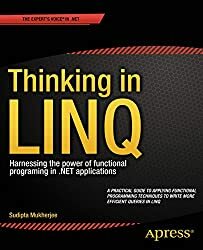 People with less specific goals, but who believe that learning languages that conceptualize problems and solutions in radically different ways will make them better programmers in general. The book uses Clojure, a popular functional language that runs on the Java Virtual Machine. It contains many exercises and their solutions. For more about what the book covers, see the sample PDF. It includes the Introduction, the first chapter, and the glossary. The book is "feature complete", but there will be bug fixes and improvements to the explanations over the next few months. "This book, written by Brian Marick, is important. Indeed, it may be _necessary_. We need something to bridge the gap between the huge population of OO programmers, and the growing need for functional programmers. I’ve seen nothing else that fills this need so well." "@marick is blowing my mind with #fp_oo, building OO on top of FP." "I have an understanding of monads for the first time thanks to @marick and his awesome book"
"'Functional Programming for the OO Programmer' by @marick features the best introduction to Clojure I've read so far." "Bought #fp_oo by @marick today. Chapter 1 is the best #clojure intro I have read"
Brian Marick was first exposed to the functional style in 1983, when the accident of knowing a little bit of Lisp tossed him into the job of technical lead on a project to port Common Lisp to a now-defunct computer architecture. That led him to a reading spree about all things Lisp, the language from which the functional style arguably originated. He’s been a language geek ever since, despite making most of his living as a software process consultant. He’s the author of the popular Midje testing library for Clojure and has written two books (Everyday Scripting with Ruby and Programming Cocoa with Ruby). 1.12 Vector? List? Who cares? 8.2 Object-relational mapping: threat or menace?